In 1983, on the 10th of November, the Microsoft Corporation officially announced at the Plaza Hotel in New York City the release of Microsoft Windows, a new generation of operating systems that provided users with a graphical user interface, a GUI, and a multitasking environment for IBM computers. The new product was due to appear on the store shelfs by April 1984, or so it was according to the Microsoft declaration. Also, the name under which the Microsoft operating system should have appeared was Interface Manager, if the marketing manager would not had intervened and convinced Gates that "Windows" was a far better and appealing name. Later that year, in November 1983, Bill Gates first revealed a beta version of Windows to chief executives at IBM. IBM was far from exhilarated about Microsoft's Windows, since they were working on their own operating system called Top View which was based on the MS-DOS Microsoft had provided a few years earlier. In 1981, the MS-DOS became the most popular operating system that came together with personal computers from IBM. Top View was released in February, 1985 as a DOS based multitasking program manager without any GUI features. It was named like that just because it ran on top of DOS, and although IBM creators promised to enhance Top View with an user interface this promise was never fulfilled, and the program was discontinued after merely two years of functioning. At this time, a graphical user interface for IBM would have come in handy. 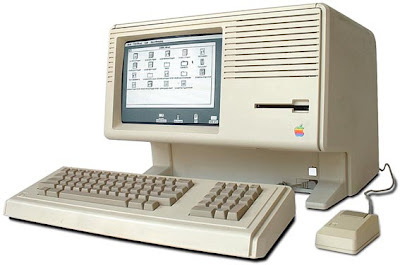 Bill Gates was well aware of this fact based on his previous acquaintances with Apple's Lisa computer and the later, more successful, Macintosh, or simply the Mac computer. Both Apple designed computers had some high class graphical user interfaces. As a new software written especially for an operating system, the Microsoft Windows faced potential competition from IBM's Top View, GUIless as it was. Other players were also on the market at that time. VisiCorp had VisiOn, released in October 1983, which was the first official PC-based GUI. The second was GEM, Graphics Environment Manager, released by Digital Research in early 1985. But both VisiOn and GEM lacked support from all important third-party developers. So, if nobody wanted to write software programs for an operating system, there would be no program which can be used, henceforth, nobody would want to buy an OS without an accessible GUI. But a certain someone was keen on writing such software programs, so Microsoft finally released Windows 1.0 on November 20, 1985, almost two years after the initial announcement date.